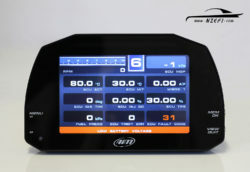 The AIM MXS 1.2 Strada is a high-contrast configurable colour digital dash designed for applications requiring a dash for display purposes but not wanting to use the dash for data logging (except perhaps lap timing as discussed later). In many cases, data logging can be performed by the ECU instead of the dash if data logging is required at all. 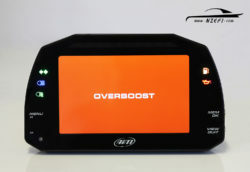 This game-changing AIM product simply blows away all similarly-priced dash/display products that we have tested. It’s appearance, features, well thought out wiring and the intuitive PC based configuration software makes a mockery of most other dashes offered at the same price point. This isn’t to say that we think the MXS Strada is the worlds best dash or that it couldn’t it be improved upon. However, but we do think it is a very well designed and manufactured product that offers exceptional value while making many competing products look outdated. The MXS 1.2 Strada is available as either the race icon version or the street icon version. We sell both of these versions, although this product listing is for the street icon version. 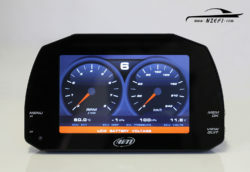 The only difference between these two models is the outline around the six multi-colour LEDs (3 on each side of the 5″ TFT display). 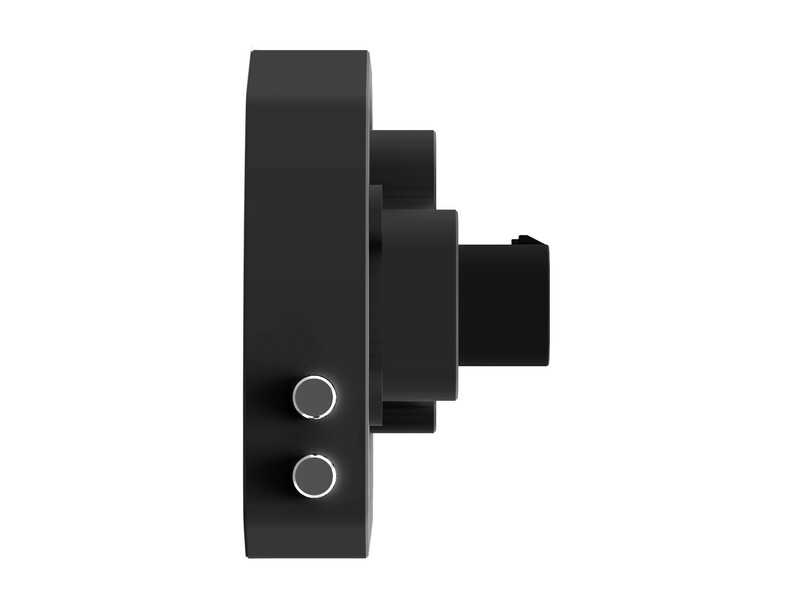 With the street version the function of these lights is expected to be indicators, high beam, lights, low fuel warning, oil pressure warning and water temperature warning. With the race version, these LEDs are generic so that they can be whatever you want them to be. It is also possible to have the same light indicate different things depending on the colour of the light. With that being said, in addition to these 6 LEDs you can also create warning messages that appear on the bottom of the display or pop up across the whole display. 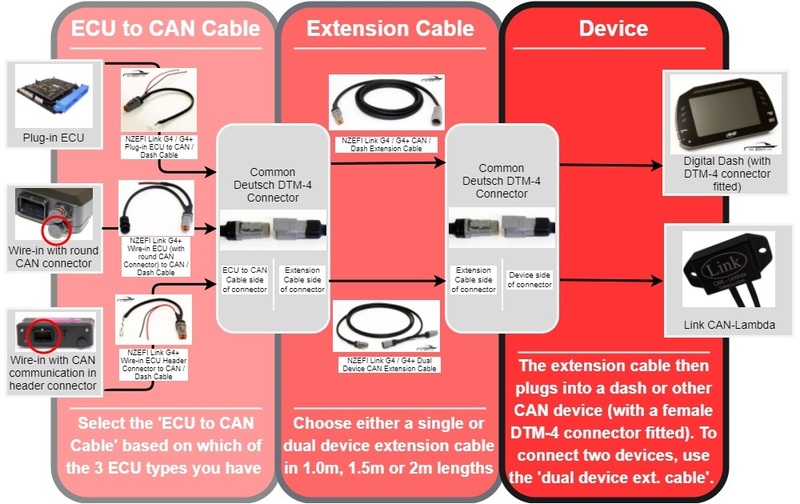 Like many digital dashes on the market today, the MXS 1.2 Strada can communicate with a huge number of both factory and aftermarket ECUs with connection options via CAN bus, RS232 or K-line. 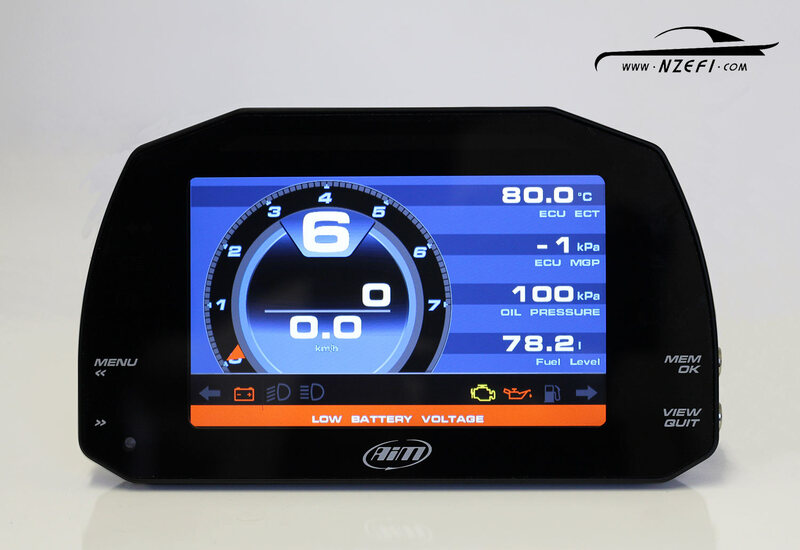 With most modern aftermarket ECUs (including the Link G4 and G4+ range) the best option is to use CAN bus to transmit data to the dash. Our preferred method of installation is to wire all required engine sensors into the ECU leaving only very simple wiring required for the dash – often as simple as power, ground and two wires for CAN bus. 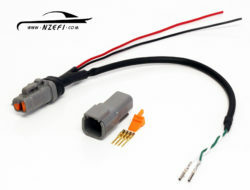 Non-engine related sensors – such as the fuel level sensor can be wired directly into one of the 8 inputs on the dash and is further simplified by using our optional input/sensor loom. On the street icon version these 8 inputs would typically be alternator, indicator input signals left and right, high beam input signal, light input signal and the fuel level sensor. This would then leave 2 spare analog inputs if required. 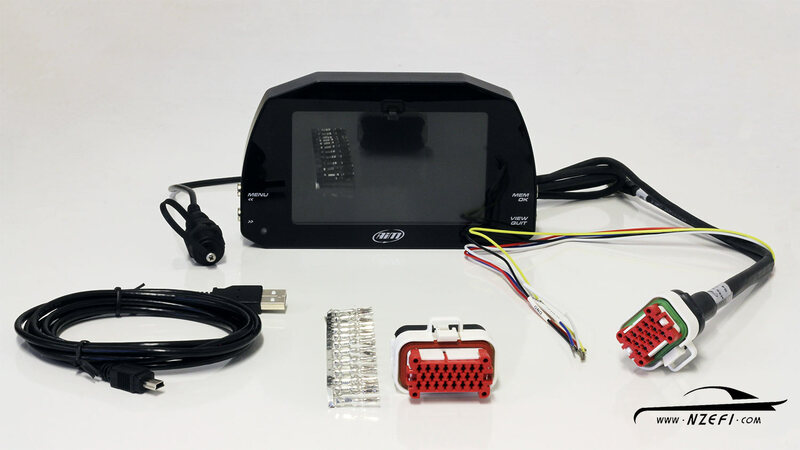 Additional wiring information is supplied with our input/sensor loom. 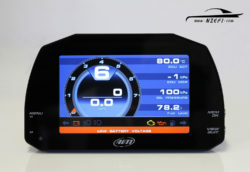 To ease installation further, we have also created a dash configuration that we think is a great starting point particularly for anyone using the MXS Strada with an Link G4 or G4+ series ECU. 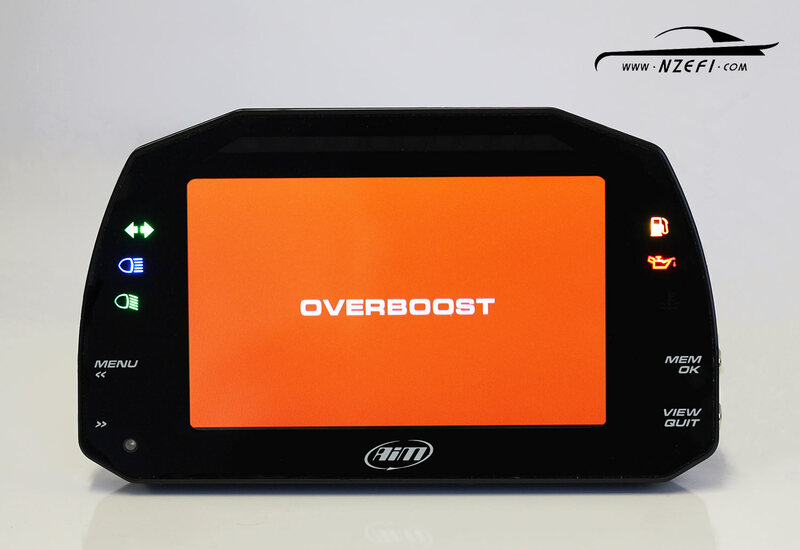 By selecting to have this configuration pre-loaded into your MXS Strada when purchased from NZEFI, you will receive your dash all set up with alarms, lights, inputs and display pages plus it will be all ready to communicate with a G4/G4+ ECU. Of course, you can tweak this configuration to suit your preferences using AIM’s free configuration software RaceStudio 3. 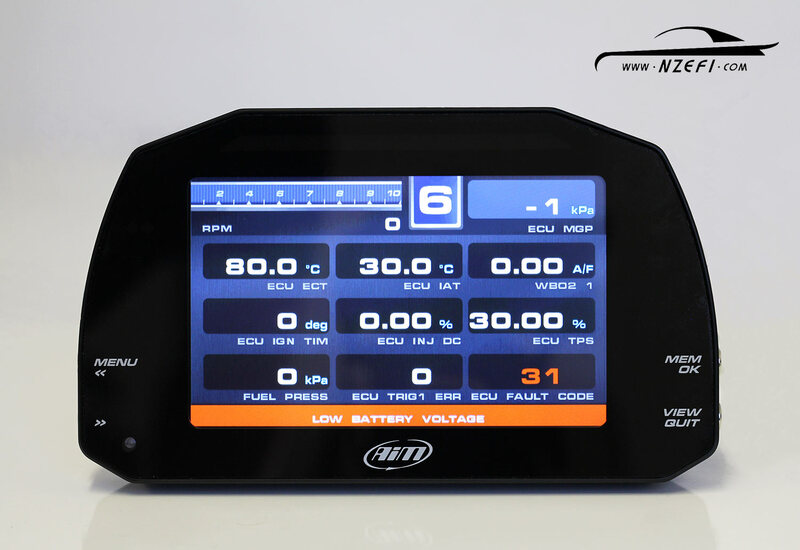 If you purchase a Link G4+ ECU and MXS Strada from NZEFI at the same time the then we will also set up the CAN settings in the ECU free of charge. However, if you purchase an MXS Strada without an ECU then we will supply simple instructions on how to set up the required CAN settings in a Link G4+ series ECU. These parameters were tested using Link G4+ firmware version 5.6.5 and AIM MXS Strada firmware version 02.22.86. In the future we expect to be able to offer a parameter list that expands on this further. 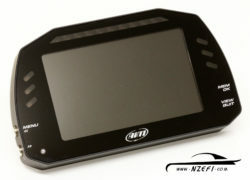 Optional extras from AIM include their remote mounted buttons interface and GPS transceiver. 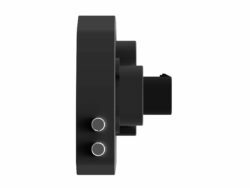 The optional remote mounted buttons interface is handy when the dash in mounted in a way where the 4 side buttons cannot be reached easily. The interface gives 6 inputs which replace the 4 existing buttons plus add a manual backlight dimming option and a trip meter reset. At this point it is worth noting that the MXS Strada has one non-resetable system odometer plus 4 trip meters which can each be reset individually. The optional GPS transceiver allows the MXS Strada to perform lap timing on race track applications and lap times are all recorded in the dash to be viewed later. So while the MXS Strada is essentially a non-logging dash, logging lap times is the exception.